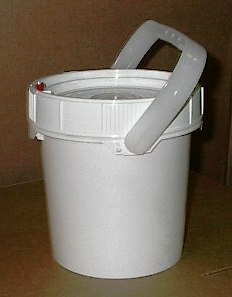 Standard Lid: this lid is secured and hold tight on the plastic bucket. It has a tear tab as well for more security that you may need for your plastic buckets. Gamma Seal Lid: this kind of lid transforms plastic blankets from a 2-gallon plastic pail to a 7-gallon pail into a dependable resalable container that is also airtight. Spout Lids: You don’t have to worry about giant messes with this lid top. It is made for easy pouring and its rubber gasket helps prevent leakage. These lids can be specified to be FDA compliant and are also made with high-density polyethylene. Most of our plastic buckets and their lids are also FDA compliant. 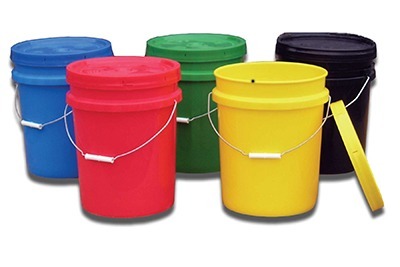 Our UN rated plastic pails are suitable for shipping and storing hazardous and non-hazardous materials. Trust Youngstown Barrel & Drum Co. for all of your plastic bucket or plastic pail needs. 6.15″ I.H. X 6.62″ I.H. These small plastic pails are the most portable from our entire range of plastic pails. 7.77″ I.D. X 8.25″ I.H. 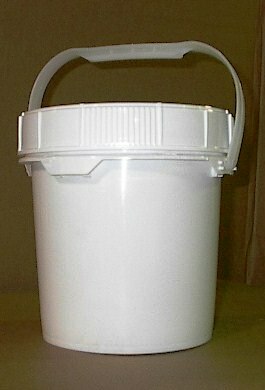 2.5 Gallon Open Head plastic bucket comes with a Screw Lid and a Neoprene Gasket. The design of the bucket is as per the specifications of UN 1H2/Y15/S. 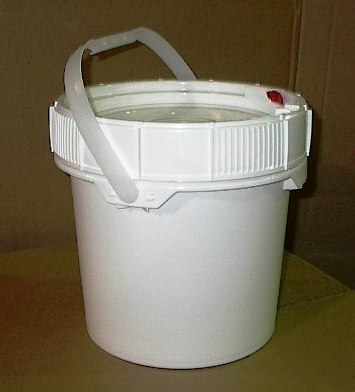 The bucket is available in white color only and weighs 1.96 Lbs. 11.20″ O.D. X 12.03″ O.H. 11.25″ I.D. X 11″ I.H. 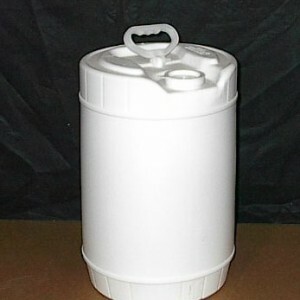 Youngstown Barrel and Drum Co. has a wide range of 5-gallon plastic buckets for sale to fulfill your storage needs. These buckets are ideal for food and chemical industries. These buckets are available in various colors and designs. This design is ideal for easy transport of non-hazardous chemicals. These pails are easy to handle and also easy to stack on with our standard tapered top thereby facilitating your storage needs. 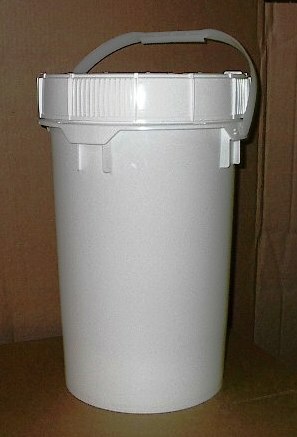 The 5 Gallon Rectangular Tight Head Plastic Bucket, has a 70 mm Screw Cap and is available in white color only. It is designed according to the specification of UN 3H1/Y1.8/100 and weighs 4 Lbs. 11.375″ Dia. X 9.875″ I.W. X 15.2″ Ht. 6 Gallon Cylindrical Tight Head drum has a 70 mm Screw Cap. The model is available in white color only. The model is designed as per the regulations of UN 1H1/Y1.5/100. The weight of the plastic bucket is 4 Lbs. 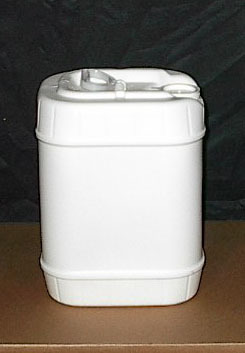 Dimensions of the Plastic Bucket: 11 3/8″ Dia. X 17 5/8″ Ht. 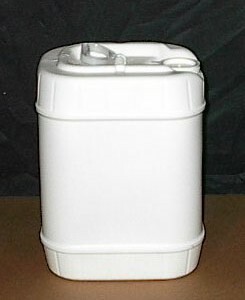 The 6 Gallon Rectangular Tight Head Plastic Bucket comes with a 70 mm Screw Cap. The model is available in white color only. The design of the model is as per the UN 3H1/Y1.8/100, Wt. 5 Lbs. 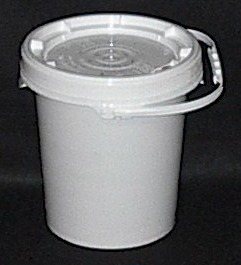 Dimensions of the Plastic Bucket: 11.375″ Dia. X 9.875″ I.W. X 17.65″ Ht. If you’d like more information about plastic buckets or would like to inquire about purchasing plastic buckets or pails, please contact us at Youngstown Barrel & Co. We have many different types of drums and containers to suit all purposes and needs. Our friendly staff are always standing by to help answer and all of your questions. Please give us a call at 1-877-721-1264. We look forward to finding you the right solution. Click here for more details.